Average Joe’s Beernasium is located at 2119 Downer Street Baldwinsville, NY 13027, It is open Monday – Saturday: 11am – 2am, Sunday: 12pm – 2am. • What’s the average snowfall in Central New York each winter? • What was the lowest Earned Run Average in baseball history? 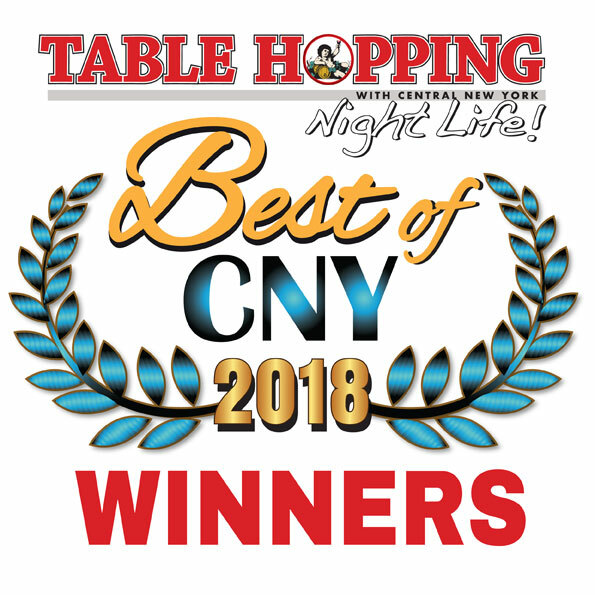 • What is one of the least average night spots in Central New York? If you’ve seen the sports comedy hit, “Dodgeball,” you’ll get the vibe of Average Joe’s Beernasium immediately. (If you haven’t, go ahead and rent it – you deserve a good laugh!) Owner Joe Haney was quick to explain that the film and the fun were the inspiration for Average Joe’s, which opened last October. Joe and wife Jenn had owned and operated the Hometown Pizzeria in the same building for fifteen years when the owner of the bar/pub next door, retired. With partners Jim and Melissa Trop, they decided to buy the business, and began to renovate. While they still have plans to expand even further, there’s plenty of space, food options, drinks, music, and entertainment to be found already. 80 feet of bar dominates the main room —that’s right, no waiting!— with all your favorite bottled beer, taps, mixed drinks and wine. 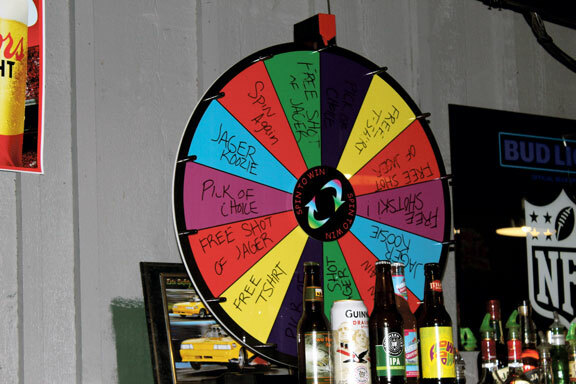 And Average Joe’s features a priced-to-please menu of wings, pizza, burgers,and daily specials. A big draw is Mexican Mondays, when you can enjoy half-price Tacos and South of the Border themed drink specials. The kitchen opens at 3pm, and stays open til 11, so you definitely won’t go hungry. 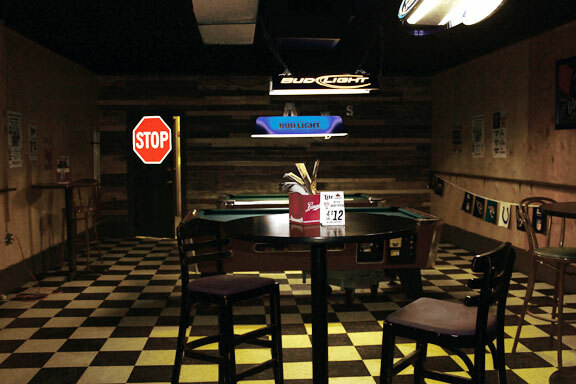 Everywhere you look there’s something going on: 16 big screen TVs with an NFL Ticket and SU sports; Lotto and Quickdraw; pinball; and a game room for darts and pool. A major attraction are bands on Friday and Saturdays, with the music starting to turn up at 9pm – which means there’s plenty of time for dinner and drinks before you start to dance. And there’s a big dance floor, which, on a band night, can meet the demands of 300-400 people enjoying the music. “We draw a lot of people from all over – they’ll come in to see their favorite band,” Joe explained. “We’ll have a country band one night, and then classic rock, a big metal band another night. And during Happy Hour we’ve often have an acoustic group.” And with the ability to pull in national bands on tour, the “average” Central New Yorker is bound to find the music they like to listen or dance to! But Average Joe’s isn’t just a weekend destination. On Wednesday nights, you can stop out for Karaoke Night, and on Thursdays team up with your brainy friends for Trivia. Both start at 7pm. Happy Hour is from 3-6pm, Monday through Friday, with free pizza and two-for-one drink specials. Average Joe’s will take the party on the road, catering at your location, and is available for parties of all kinds. The venue’s size and style give you the flexibility for a big, big event! Joe says there are further additions in the works, with plans for an outdoor entertainment area for those precious days of CNY summer. • Average snow fall in Central New York: 123.8 inches – which gave Syracuse NY, the Golden Snowball Award many years in a row (the competition has ceased). • Lowest Earned Run Average in baseball history: The lowest single-season ERA in league history was posted by Tim Keefe, whose 0.86 ERA in 105 innings pitched for the National League’s Troy Trojans in 1880 led his closest competitor by .52 runs. 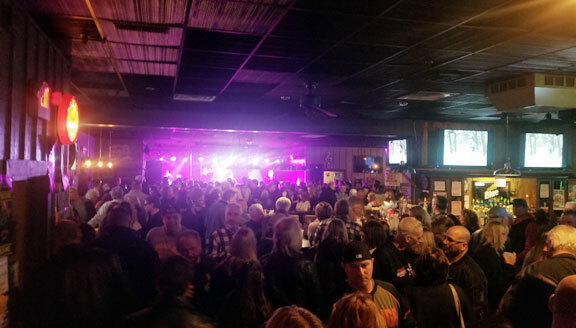 • One of the least average night spots in Central New York: Average Joe’s, of course!